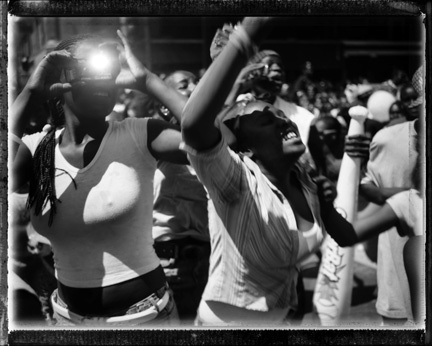 Jon Lowenstein believes documentary photojournalism can contribute to social change. Selections from two of his long-term projects, Voices in the Hall and SouthSide, are represented in his Midwest Photographers Project portfolio. The color photographs of Voices in the Hall were made during the four years Lowenstein taught photography at Paul Revere Elementary School on Chicago’s south side. 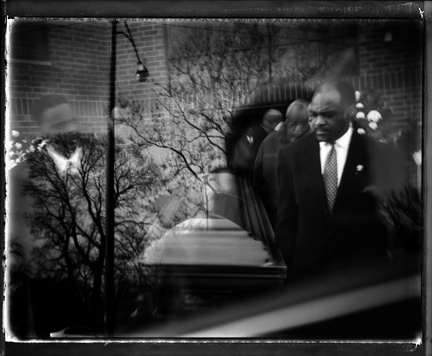 Documenting the community more broadly, the black-and-white SouthSide pictures are far more grave and tense. Where the school seemed a comfortable setting for moments of delight and discovery in the former series, the youths in the latter appear in decidedly more adult contexts, by turns both gritty and giddy, at once vulnerable and vital. Jon Lowenstein was born in Boston. He holds a BA in English from University of Iowa (1993), with additional study in photography at Columbia College Chicago and Universidad del Pais Vasco, San Sebastian, Spain. 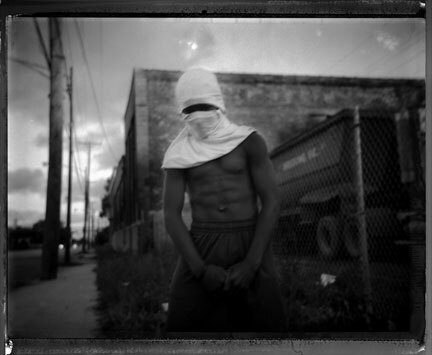 One of the eight full-time photographers for the Chicago in the Year 2000 project, Lowenstein is also the recipient of a USC Annenberg Institute for Justice and Journalism Racial Justice Fellowship (2007) and the National Press Photographer’s Association Cliff Edom’s New American Award (2005). 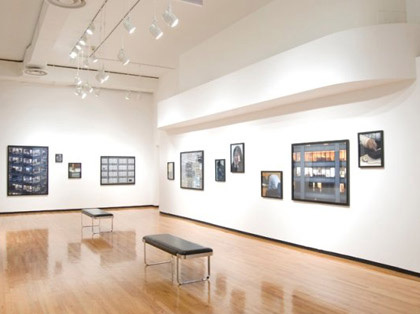 Solo exhibitions of his work have been held at the Chicago Cultural Center; Giola Gallery, Chicago; and Governors State University, University Park, IL.